Pixar takes audiences on incredible journeys into extraordinary worlds: from the darkest depths of the ocean to the top of the tepui mountains in South America; from the fictional metropolis of Monstropolis to a futuristic fantasy of outer space. From director Pete Docter (Up, Monsters, Inc.) and producer Jonas Rivera (Up), Disney•Pixar’s INSIDE OUT will take you to a place that everyone knows, but no one has ever seen: the world inside the human mind. Continue reading for all the images, news, and trailers for Disney•Pixar’s INSIDE OUT opening June 19, 2015. 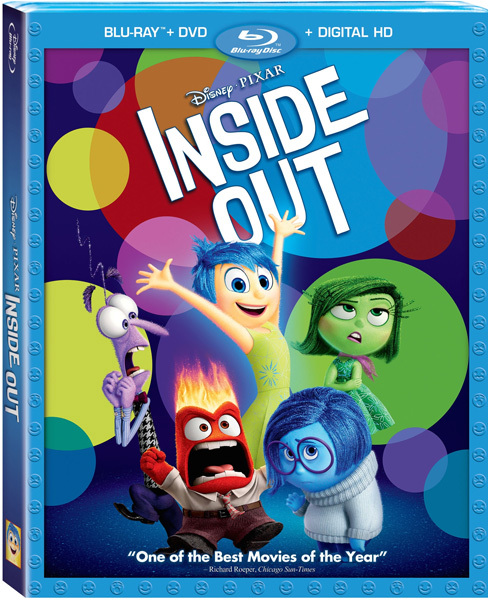 Disney•Pixar’s INSIDE OUT on Digital HD and Disney Movies Anywhere October 13th and on Blu-ray 3D, Blu-ray Combo Pack and On-Demand November 3rd. For sneak peek of the brand-new short please view the in-home trailer below. More printable activity sheets inspired by Disney•Pixar’s INSIDE OUT including a memory ball craft, train of thought board game, and EmotioNail-Art designs. Click on the links below to open each pdf file in a separate tab. Be patient, some of the files are large and may take a few seconds to open. 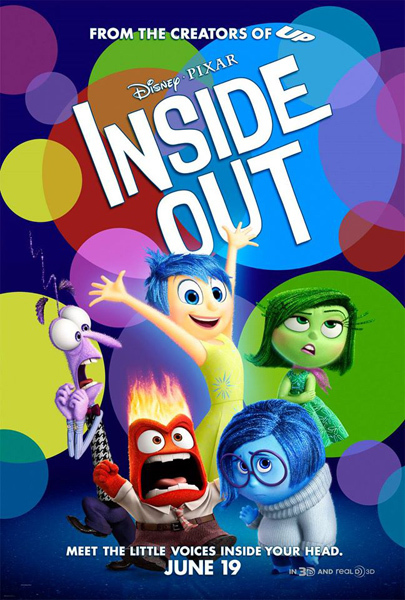 Click here to catch the train of thought in George Gensler’s spoiler-free review of Disney•Pixar’s INSIDE OUT. 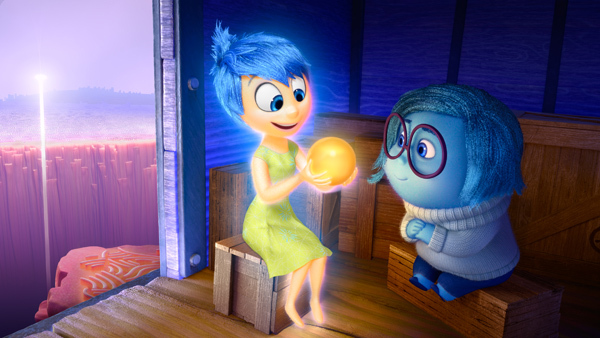 The cast of Disney•Pixar’s INSIDE OUT explains what goes into animating a Pixar film. Director Pete Docter, producer Jonas Rivera and the cast of Disney•Pixar’s INSIDE OUT discuss the making of the film. Click here to find out which emotion was left on the cutting room floor. 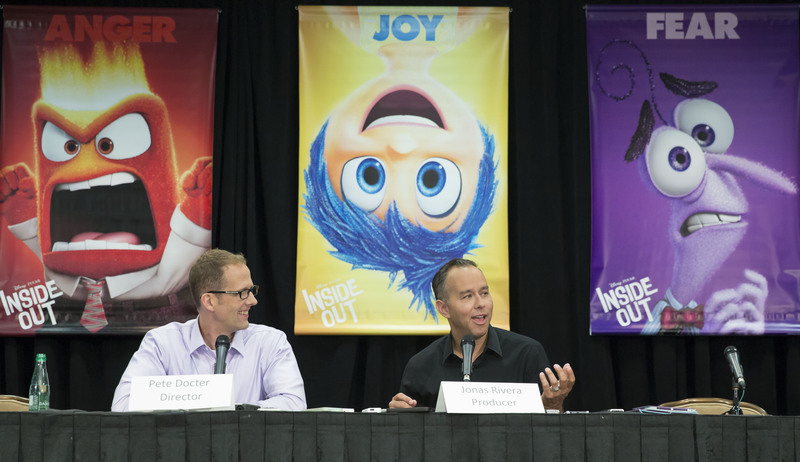 Beverly Hills, CA – June 7 – INSIDE OUT Press Conference with director Pete Docter and producer Jonas Rivera moderated by Scott Mantz. 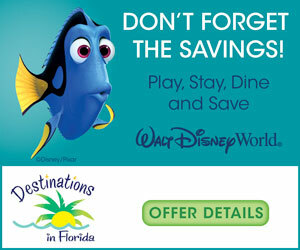 Five new recipes (one for each emotion) and tons of printable activity sheets inspired by Disney•Pixar’s INSIDE OUT including connect the dots, make a hexaflexagon, mazes, etc. available. Click on the links below to open each pdf file in a separate tab. Be patient, some of the files are large and may take a little while to download. 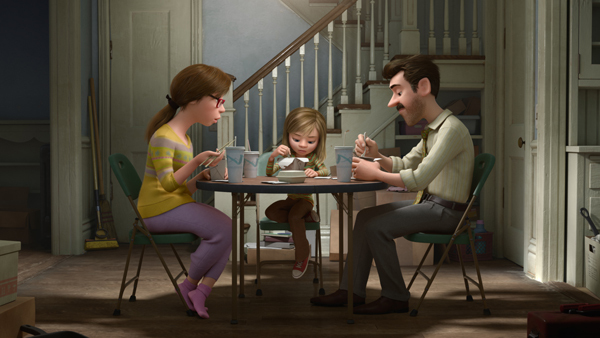 Printable family activity sheets for Disney•Pixar’s INSIDE OUT. Click on the links below to open each pdf file in a separate tab. Be patient, some of the files are large and may take a little while to download. 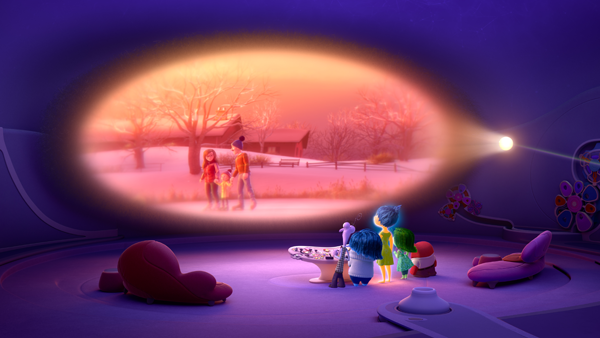 Take a look inside the brain with the new trailer and images for Disney•Pixar’s INSIDE OUT. Joy (voice of Amy Poehler), the main and most important of 11-year-old Riley’s five Emotions, explores Long Term Memory in Disney•Pixar’s “Inside Out.” ©2014 Disney•Pixar. All Rights Reserved. Printable INSIDE OUT themed holiday craft ornaments and a “Spot the Difference” activity sheet. Click on the links below to open the sheets in a new tab (some of the files are large; so you may need some patience as they download). 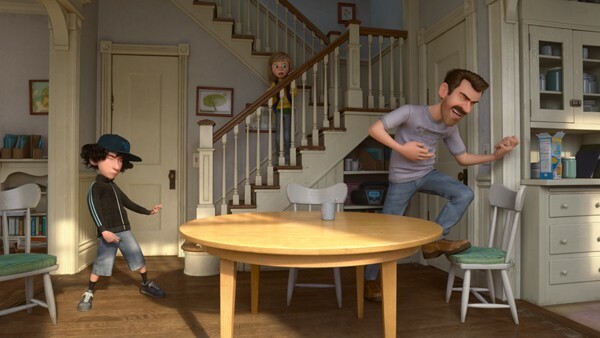 “Well, that could have been a disaster,” full trailer released for Disney•Pixar’s INSIDE OUT. Take a look inside the brain and the emotions in Headquarters, the control center inside Riley’s mind, in Disney•Pixar’s INSIDE OUT. INSIDE OUT ©2014 Disney•Pixar, All Rights Reserved. SWEET Emotion! 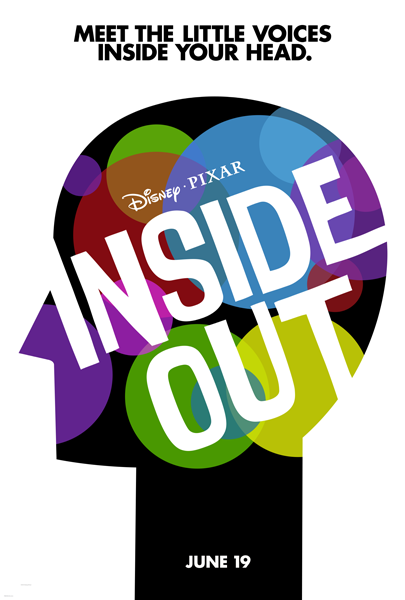 The first trailer was released for Disney•Pixar’s INSIDE OUT! I love how it utilizes previous Disney•Pixar films to remind us of strong feelings. Description, image, poster, and clip released for the short “LAVA” that opens in front of Disney•Pixar’s INSIDE OUT. 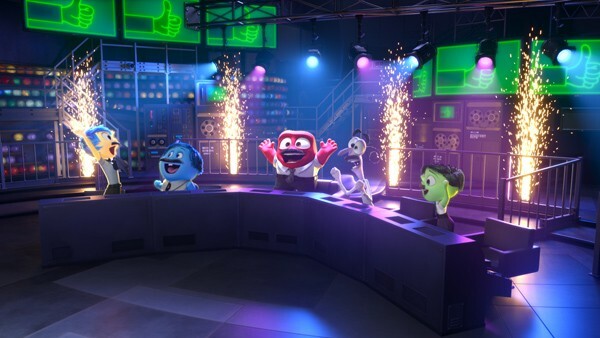 Disney•Pixar’s “Inside Out” takes moviegoers inside the mind of 11-year-old Riley, introducing five emotions: Fear, Sadness, Joy, Disgust and Anger. In theaters June 19, 2015. ©2013 Disney•Pixar. All Rights Reserved. INSIDE OUT, Photo by Todd Wawrychuk © 2013 Disney Enterprises, Inc. All rights reserved. 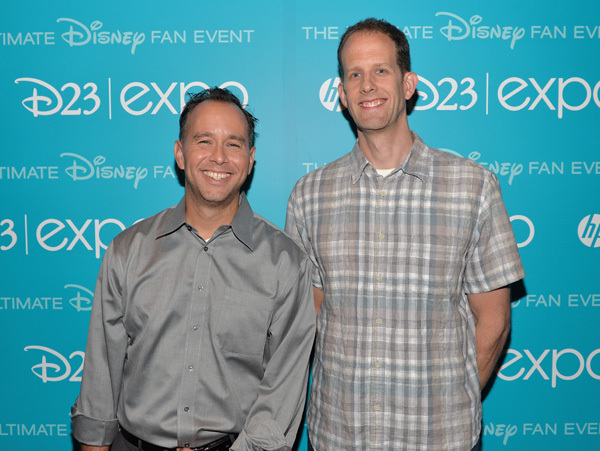 (L-R) Producer Jonas Rivera and director Pete Docter of INSIDE OUT, photo by Alberto E. Rodriguez © 2013 Disney Enterprises, Inc. All rights reserved.